Ah, those classic SF movies. They amazed and charmed us, teased and titillated us. And even though they may look cheap compared to the modern SF megahits, they had that undeniable something that thrilled and chilled. Can you match the phrases, quotes, images or characters from the numbered movies at top with the lettered movie titles just below? Twelve to fifteen correct means that you know your drive-in celluloid. Eight to eleven correct is pretty good but don’t give up your day job. Four to seven correct suggests that you need a refresher course in SF movie history. Below four correct? I guess old SF is just not your thing. The answers follow. 8. Do you know who your parents are? 9. Oh no, there goes Washington, DC. Answers: 1. Invasion of the Body Snatchers, 2. Day of the Triffids, 3. The Thing from Another World, 4. The Day the Earth Stood Still, 5. War of the Worlds, 6. Them!, 7. The Tingler, 8. Invaders from Mars, 9. Earth Vs the Flying Saucers, 10, The Time Machine, 11. Forbidden Planet, 12. When Worlds Collide, 13. Destination Moon, 14. Metropolis, 15. The Last Man on Earth. 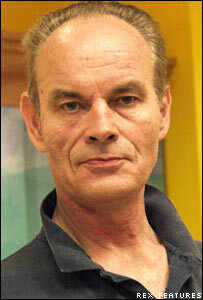 David Gemmell, one of my favorite writers, has just died at age 57. He had heart bypass surgery a couple of weeks ago but had seemingly been recovering well. Such surgeries are never without risk, however. Gemmell was a British fantasy writer who I just discovered a few years back. I've probably read fifteen of his novels since, and I think I have maybe another dozen to go. I'm really saddened to hear of his death. By all accounts, he was an excellent human being as well as a fine writer. He will be missed. I know that to answer such questions about their characters, some writers make up biographies, or at least do character sketches, before they ever start writing. I tend not to do that. Rather, I like discovering the character as I write. I often construct a character sketch later, especially if I think I might use that individual again. My way probably takes more time if anything, but I like the fluidity of it. At least for me, when I flesh out a character they tend to become very real for me. And that means I can’t easily change something about a fleshed out character even if it might make the story better. Even names become part of the character, and I find myself unable to change them without some mental gymnastics on my part. I’ve actually written stories using one character name, then used global search and replace to exchange that name for another that will appear in the published story. You may ask why. Well, I’d created two very different characters named Kainja. One had already appeared in published stories when I wrote a piece about the second one. I didn’t want to confuse my readers, but I found it difficult to use a different name for Kainja while I was writing the new tale. I just wrote the character as Kainja to make my job easier, then did search and replace to fix the problem for any potential readers. In Storyteller, Kate Wilhelm discusses a story written by a student at the Clarion workshop in which all the events of the tale take place behind a wall that is too high to see over. Wilhelm asked the student what was behind the wall and she said that it had never come up in the story and she didn't know. Wilhelm says that: "The writer has to know what lies beyond the wall and has to give the readers enough direct instructions or else imply enough through the characters' behavior for the readers to be able to piece it together." I agree absolutely with the first part of this. The writer should know what's behind the wall because it will affect the actions of the characters. It's like having that metaphorical elephant in the bedroom that no one talks about. I also have to wonder, how could the writer not know? How could you write such a story without evoking your own curiousity about what lies beyond the wall. How could you not have thought about it? Half the fun of writing is world building. The second part of Wilhelm's comment, however, about giving the readers enough clues to piece it together, is less clear to me. If I was reading the story I would want to know, of course. And I'd be frustrated if the writer gave me no hints and I could never even develop a theory of "beyond-the-wallness." Yet, I can imagine a situation in which the whole point of the story is the not knowing, the never finding out. Perhaps such a story could serve as a metaphor for life, with the wall representing death. Such a story could be effective even if it breaks the second half of Wilhelm's rule. I guess my thinking is that there are few absolute "don'ts" in writing. Story telling is not a hard science. It's a discovery. They say to "write what you know." I confess to not completely understanding this advice. I certainly set a lot of stories in physical environments that I'm familiar with. Most of the cities/towns in my tales are based either on New Orleans or on my small home town of Charleston, Arkansas. Many of the characters in my stories have similarities to myself or to other folks I know. When I have characters use guns, or ride motorcyles, or drive cars, I usually select ones that I've fired, or ridden, or driven. But can't I have a character who flies a plane? I never have, and believe me you wouldn't want me flying yours. Or what if I want to set a tale in the Sahara desert, or on the moon? I've never been to either. What if...I want to write a story with a main character who is a woman? I don't think I've ever been one. Many of my favorite stories by other writers are set on worlds that neither the author nor any other human has ever visited. Many are set on worlds or in places that have never even existed, and never could exist. Thank the muse that those writers didn't stick with "what they knew." "Write what you know" has to be expanded. Use what you know, certainly. Use it as the basis, the core of your story. You know emotions, needs, wants. You know sickness and health. You know dreams. But don't let not knowing stop you. Write what you can know, what you can learn. Most of all, write what you can imagine. Let's Add to the Stress, Shall We? I know it works this way. But still I wonder why. With the stress of the past week, and the coming stress of final exams this week and of completing our move, the one thing I needed to make sure of was getting enough sleep. That went out the window this morning at 6:15 as workers climbed up on the roof directly above my bedroom at the apartment and began banging. I attempted to find some rhythm in the banging for the first fifteen minutes, then came downstairs and did my blog entry instead. At least the workers are happy. I heard one of them singing. I'm not looking forward to this week. I give five tests in my four classes this week, and this is before Final Exams start. Next week I have four more tests. This is largely because it's our "Spring" semester, prior to graduation, and Senior grades have to be turned in early. I'm also grading 30 something papers that I got last Friday, and I'm sure another problem or two will surface this week. From at least Thursday on I'll be doing nothing but grading for four to five days. In other news, everything is turned on and ready at our new house and as soon as we can schedule the move for our big stuff we'll be out of the apartment and into Abita Springs. We probably won't be able to get that move scheduled until after next week, though. Just too many things hitting at once here. I feel very much like a boxer in the fifteenth round who is beaten but is just desperately trying to stay on his feet until the final bell. Man, the bell is slow. I’ve mentioned three members of my writing group in New Orleans who are widely published, Laura Joh Rowland, Candice Proctor, and Emily Toth. But there are two other members who deserve attention in my blog. These are Steve Harris, the husband of Candice Proctor, and Elora Fink. Both are fine writers, although neither has published much. Elora single handedly keeps quite a few writers in business. I’ve never met anyone who reads as much or who is so knowledgeable about contemporary writers. The woman devours books the way I eat popcorn shrimp. She goes to signings, reads writer’s blogs, and checks out their websites. She even owns more books than I do and that’s impressive. She’s also a good friend when you need one. Steve met Candice in our group. I like to think I brought them together. That last is a complete fiction, but then I did tell you I was a writer didn’t I? Yeah, I sometimes make up stuff. Steve is also well read and likes a lot of the same stuff I do. He’s a Koontz fan, for example. I think Steve is the only one of the group who actually read my horror novel, Cold in the Light. He even said that he liked it. That alone makes him a swell fellow, but he also brings a lot of insight to our group on what works or doesn’t work in fiction. Emily Toth is a professor of English and Women’s Studies at Louisiana State University in Baton Rouge. She’s yet another member of my Greater New Orleans writing group, and has the honor of being the one who travels the farthest to meet with us. 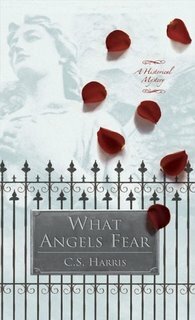 Emily wrote an historical novel called Daughters of New Orleans in 1983, but is best known for her nonfiction. 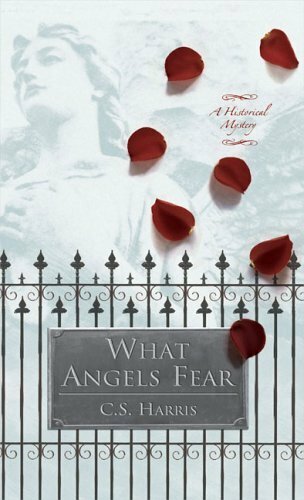 She is an expert on Kate Chopin, and has written two well received biographies on her, one of which was nominated for a Pulitzer. Emily has also published a biography on Grace Metalious, the woman who wrote Peyton Place. That book (Emily’s) has actually been optioned for a potential movie starring Sandra Bullock. It’s perhaps easiest to find Emily today through her “Ms. Mentor” column for the Chronicle of Higher Education. Ms. Mentor provides advice, generally with a twist of tart humor, for academics who are struggling with careers and personal lives. Even if you aren’t an academic, the column is funny. A couple of items to relate. Another new Illuminata is up. This one has a column by me on “Blogging: Pros and Cons.” Also, the guest page for Star One Delta has been updated to include some bio information on me. This is that SF Con I mentioned being invited to, which I’ll be going to on August 5. Hope to see you there. The other day, I talked a little about how much the work of certain writers had affected my life, and I realized today that all the writers I mentioned were male. Steinbeck, Lewis Thomas, Peter Matthiessen, etc.. I began to wonder if this makes me a “sexist?” When I give this possibility a closer look, I realize that most of the writers I read are indeed male, and that most of my favorite books have been written by males. Any list of my favorite authors would include, Ernest Hemingway, Robert E. Howard, Karl Edward Wagner, Ray Bradbury, Louis L’Amour. Some of my most recent favorites are Scott Westerfeld and David Gemmell. Why are they all males? Am I truly a sexist reader? First, in my defense let me say that there are a number of women writers who I do enjoy. I read everything I could find by Andre Norton when I was a teenager. She was a great adventure writer. Of course, a devil’s advocate might point out that I didn’t know Andre was a woman at the time, and that she almost always wrote about male characters. On the other hand, I knew C. L. Moore and Janet Morris were both women before I ever touched their stuff and yet I’ve read most of Moore’s work and quite a bit of Morris’s. Moore’s Jirel of Joiry stories certainly rank her among my top ten favorite writers in fantasy. Janet Morris’s work in the Thieves’ World books with the character of Tempus was also extraordinary. And one of my favorite books is Frankenstein, written by a woman. I also really like the work of Leigh Brackett, especially her early fantasy/SF stuff. Her Sword of Rhiannon rocked. In a final analysis, I don’t think I’m a sexist reader (let me know if you do). I think I’ve read mostly male writers, and find works by male writers to be atop my lists of favorites, for several reasons. 1) When I was growing up in the 1960s and 1970s women were underrepresented among writers of SF and fantasy, which was most of what I read. When they wrote that “stuff,” as with Moore, Brackett and Norton, I read them. 2) As a male, I like a lot of traditional male stuff. I like battles and gunfights; I like football. Even today there are few women who write westerns, football stories, and books about World War III. When it comes to fiction, I read what I like, and quite often it is the male writer who writes it, quite probably because they like that stuff too. 3) Related to my #2, there are some things I don’t care to see in fiction. I don’t mind a good strong male/ female relationship, but that had better not be the main focus of the book or it’s going to lose me. I don’t care anything at all about recipes, clothes, shopping, or the upkeep of a castle. I recently read a fantasy novel that my girlfriend prized highly and I found it very boring because there were long stretches that focused on the clothing at court and the proper way to accept a suitor’s advances. The prose was well written but, sorry, not my drink of choice. Women and men have much in common, but there are differences that I don’t think diminish either gender. I certainly don’t think it’s sexist to prefer war stories over romances. Nor to prefer romances to westerns. My final conclusion. “I’m all right.” (Did you see that one coming? I said I was going to try to keep this blog mostly tied to writing and I think I've done so. But sometimes life makes it hard to keep anything on track. I may not be posting much here over the next week or so. My son, Josh, was involved in a car wreck this weekend. He had to have some stitches to his face and has a broken hand. There are various cuts and bruises but he will be OK. Still, there are many issues to be dealt with. Thank God no one else was hurt. It was such a bizarre weekend all around. Somebody hit my new car in the parking lot and didn't bother to leave a note. The damage, fortunately, wasn't too severe. But I have nice big scrapes to my left rear bumper. Then, Lana and I were sideswipped on the freeway Saturday night by a hit and run drunk driver. We chased him and got his license plate # so it looks like we'll be able to get him to take care of the damage. It must have been especially scary for Lana, who was driving. It felt like the guy had smashed our whole left side in but it wasn't as bad as it felt. They say bad luck comes in threes. That was our three; I hope for at least a year or two. I have a couple of blog entries that I've sort of gotten a head start on so I might post them later this week. Right now it's just hard for me to feel up to doing much of anything. Laura Joh Rowland is another member of my writing group in the Greater New Orleans area. She writes mysteries and has been doing so since the early 1990s. I know she’s on number 12 or 13 of her series set in old Japan during the days of the Samurai and the wandering poets. 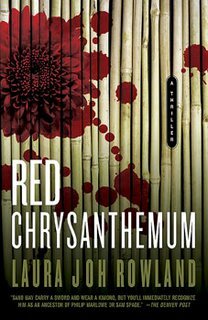 Above is the cover of her latest, Red Chrysanthemum, and it too features the detective character of Sano Ichiro. These are crackling good reads with clever plots and gem-quality prose. I don’t often read straight mysteries but these are good and I like the historical quality of them. You can get a little learning in with your fun. Laura probably does more to keep our writing group “on task” than anyone else in it, and I appreciate that. She comes to the meetings with a lot of ideas about writing and about why one thing appeals to readers or does not. Sometime you’ll have to get her to explain her concept of “turbocharged sincerity.” Laura is also a talented visual artist. I wish I could say the same about myself. If you haven’t read any of Laura’s stuff I think you’d find it a treat. You can check it out at her website. A few entries ago I mentioned the work of Candice Proctor, who, writing as C.S. Harris, is doing an historical mystery series. I was checking out her website and stumbled upon the cover of her latest book. I thought I'd post it here for you to look at. It's pretty cool. Enjoy. I've finally found something to disagree with in Storyteller, the book by Kate Wilhelm that I've been slowly savoring. And it's something that really chaps my &$$. She mentions a male writer at Clarion who turned in a 10,000 word story all about a hero and his battles. She then says: "The students loved it, called it exciting, and we said no. It was static. Nothing happened." She went on to explain that it was static because: "Something had to change, either in the character, in the situation, or in the reader." She is, of course, wrong! And I wonder how many fine reads have been nipped in the bud by such criticism. I don't mean to downplay a character's evolution as a person. I love it when that happens. But what is wrong with a story that is just an exciting read? Edgar Rice Burroughs didn't have a lot of character development in his John Carter of Mars books but I certainly devoured them. I still remember them far more fondly than some of the stuff I've read where the character "develops." Wilhelm is wrong for many reasons. 1) She admits that the students loved the story and found it exciting. In other words, the "readers" liked it and she's correcting them. How can a reader be wrong about what they like? 2) Male readers, in particular, enjoy action, and what's wrong with a work that appeals primarily to males? It used to be that most books were written for males. Now it seems that most books are written for women. I don't think either extreme is desirable. I certainly enjoy many books that my female friends like, and I enjoy some they don't. That fact doesn't bother me at all. 3) Relating to the story in question, there actually is change if Wilhelm thinks about it, change in the readers. If they experience a lifting of mood, an escape for a few minutes from their worries and cares, then they have been changed. Maybe they haven't had an epiphany, but how often do those come around anyway? Books and stories touch us as readers for different reasons. I treasure Peter Matthiessen's Snow Leopard because it took me on a spiritual journey with its transcendent prose. I loved Steinbeck's Of Mice and Men because of the relationship between the characters and how they changed. I've reread Louis L'Amour's To Tame a Land four times because it brims with action and excitement. I read the essays of Lewis Thomas and Loren Eiseley because they make science rich with mystery and possibility. Together they all changed me. Above is the banner that my girlfriend helped me develop to advertise my novel, Cold in the Light. I thought it had a nice catch phrase, "learn what it means to fear the dark, and the light." It took me four years from start to finish to complete that novel. I didn't work on it every day. I'm a full-time college teacher and researcher so there were often days or weeks when I could not get to it. There were also a lot of days where I could do only a paragraph or two. I deliberately chose to write the book in relatively short scenes because I could often finish a scene in a few days of writing and then I didn't get lost if I had to take a break to grade tests. Even so, I did multiple rewrites to try and get it where I wanted it. I remember when I finished Cold in the Light. I was happy, and I was proud of it. I thought it was a pretty damn good book. It took me a while to sell it, though, and I finally went with a relatively small press. The three agents who looked at the work first didn't understand it. Two of them thought it had too much Science Fiction in it for them. The third thought my violent scenes were gratuitous. The science fiction elements are actually pretty minimal; the book is a horror/thriller. And as for the violence, well 1) horror has violence in it, and 2) I was writing in part about a group of beings for whom the ability to deal violence is the main focus of their lives. I still think I succeeded, and those who have read the book have largely agreed. You can find their comments around the net, such as at Amazon,at the publisher's site, (Invisible College Press), and other places. The problem is, not enough folks have read it. Writers often speak of their books as if they were their children. I think of Cold in the Light as my underachieving son. I thought I'd given him all the preparation I could before I turned him loose in the world, but the world didn't appreciate him like I did. The world didn't recognize his talent. But I love him anyway and I still think he has what it takes to succeed. I just think he needs to catch a break. Or maybe I'm just fooling myself. Moving brings home to me more clearly than anything else the extent to which books play a major role in my life. For the past several weekends my girlfriend and I have been making frequent trips in our cars over to our new place in Abita Springs with boxes of "stuff." 75% percent of that stuff has been books, and 90% of those have been mine. Every kind of genre is represented, from the garish to the literary, from the west that never was to the future that never will be. Many of those boxes hold dreams for me. I remember when I wanted to be John Carter of Barsoom, or Dray Prescot of Scorpio, or Flandry of Terra; I think it was just yesterday. Other boxes are full of books I haven't yet read, but which I will get around to if I have enough time on Earth. Sometimes I think I ought to cull my books a little, strengthen the herd by getting rid of the weak. But the few times I've attempted it I've always regretted it. Even if I don't like a book, I find that I have to keep it around because some day I'll want to refer to it, even if it's just to pan it. I still have some of the first books I ever bought, back when my grade school had a reading program and you could get them for 25 cents each. I also buy books that I once checked out of libraries or that friends had loaned me. I didn't have much money in the old days so I scrounged for reading material however I could. Now that I have a bit more disposable income, I find I enjoy spending it on those pleasant memories from the past. I often wonder if mine will be the last generation to treasure books so highly. My 19 year old son doesn't read much. He certainly doesn't collect books. His friends are the same. Most people today who see my collection express either amazement or amusement. Not many of them suffer envy. I'm already considered an eccentric because of how much I read and how many books I own. I wonder how long it'll be before I'm treated like the little old lady with 72 cats, how long before I become the: "creepy guy with all the books who keeps to himself?" I think I might enjoy the role. It's been said by better folks than me, but truths sometimes bear repeating. Technology is the master in our relationship, not us humans. I came in this morning to work and my internet and email were down. Oh, I found work to do, but I couldn't do that which most needed to be done. I'd worked on some items last night at home and emailed them to myself to finish. That didn't happen, and I didn't want to redo everything I'd done last night so I'll have to wait until email comes up or until I get home again. The net came up eventually, so I was able to get this post in, but email is still down and I wonder how many emergencies are sitting in my inbox to deal with. That probably sounds overly dramatic, but I'm a teacher and I give tests today. I'll bet there are several emails from students asking questions about the test. There may be students who email to say they can't make it. One of my colleagues teaches an "online" course. Needless to say they didn't meet today. Writing related emails will probably wait, but by the time I get home I'll be tired and I'll have to catch up with work by cutting back on sleep. An SF group out of Baton Rouge, Louisiana has invited me to their annual con. The group is called Star One Delta, and the con looks like a one day affair. It's set for Saturday, August 5. For those of you who don't know, Baton Rouge is Louisiana's state capital and is about an hour's drive from New Orleans. It's a pretty cool place to visit. I know I'll be sitting on one writing panel at the con, and may have a table in the dealer's room. If you'd like to know more, check out Star One Delta. Drop by and chat. It should be fun. I find writing nonfiction considerably easier than writing fiction. I don’t think this was always the case for me. I used to think writing nonfiction was hard, before I had done it, and that fiction was easy because you just “made it up.” Now I know that nonfiction comes with a set of guidelines. You have facts to guide you, which is almost like having an outline. And fiction can go anywhere. Yes, fiction writers also have to know facts that give their writing verisimilitude, and there are definite limits on what they can do and can’t do, but fiction writers don’t have to start at Point A and end up at Point B. This makes their job “harder” actually, because they have to choose among the routes they can take. In addition, I find that fiction requires more out of me on a personal level than nonfiction does. I can write nonfiction even if I’m not passionately involved with the topic, but to write fiction I have to feel it. I have to “live” in the world I’m creating, and that takes emotional energy that is not always easy to come by. Anyone out there have similar experiences? Or different ones for that matter. I turned in another column for The Illuminata, that online newsletter that I write for. This one is on Blogs and blogging. (I wonder where I got that idea?) I've got plenty of other writing related stuff going on, as well. I'm working on something cool for a friend, which I'll announce here in the next week or two, and am trying to finish up my mailing for the 200th issue of REHupa, the Robert E. Howard United Press Association. Around the outskirts of that, I have an editorial due for The Dark Man, the Journal of Robert E. Howard studies, for which I'm Asisstant Editor. There's also that pesky "work" thing. No rest for the weary writer, but I guess we must like it that way. My writing group met last night, and we got on the subject of historical fiction and the historical inaccuracies that bedevil it. I remember L. Sprague de Camp writing that the first time he picked up a story by Robert E. Howard he had immediately tossed it aside because Howard had Romans using stirrups and the Romans had no such thing. I must admit the stirrup thing didn't bother me a bit, although I guess it's as anachronistic as having a Civil War soldier glance at his wristwatch. On the other hand, I've read books where the author made historical or factual errors and my response has been: "What an idiot. Doesn't this guy know anything?" So what's my reasoning? As near as I can figure, here it is below, though don't expect it to be logical. I do think these are much the same reasons others use, however. 1. I'll forgive the error if I don't even know it's an error. Frankly, I didn't know the Romans didn't have stirrups. 2. I'll forgive the error if it's a minor one. If the clothing isn't exactly right, but it's pretty close, who cares? I don't. I don't read fiction because I want to learn the precise details of another time or culture. There are textbooks for that. 3. I'll forgive the error (even if grudgingly) if the story is just a ripping fine read. 4. I won't forgive the error if it would have been easy to get it right. If a writer has the wrong year for the Gettysburg Address then I'm going to be irritated since a couple minutes of checking would have revealed the correct answer. 5. I won't forgive the error if the writer holds himself or herself up as an authority and claims that they got it all right. I've seen writers who put in notes at the end of their books to make the reader aware of anything they changed for purposes of the story. That I respect. But don't tell me you're an expert and then proceed to fill your pages with nonsense. I think that's about it for me, but perhaps others out there have different opinions. What do you think? Well, as of Friday, Lana and I are the proud owners of a house just outside Abita Springs, Louisiana. Up until then it was just paperwork, but now the real work begins--the moving. We started hauling stuff over yesterday, but we have our apartment for another month so we don't plan to overwork ourselves. Just moving the books will take us a while, though.